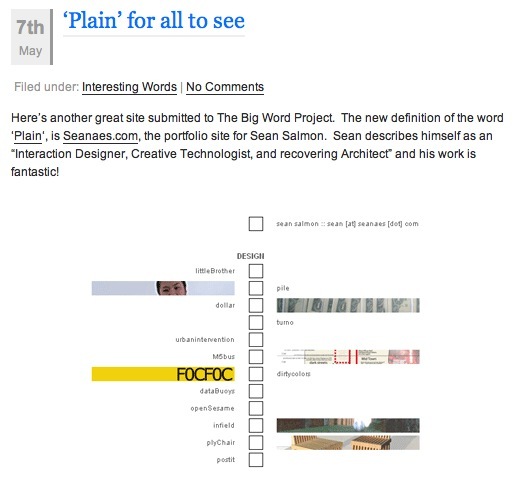 The Big Word Project featured plain as the word of the day, which I recently bought for seanaes.com. The Big Word Project seeks to redefine words by allowing users to purchase words, 1$ per letter, and link them to a url – simple. In addition to being a very interesting idea they had some very nice things to say about my work.